Kim and I went to help out Amazing Grace Baptist Church in their three week Bible Club adventure. The last week of the Bible Club there were some special guest and a surprise. 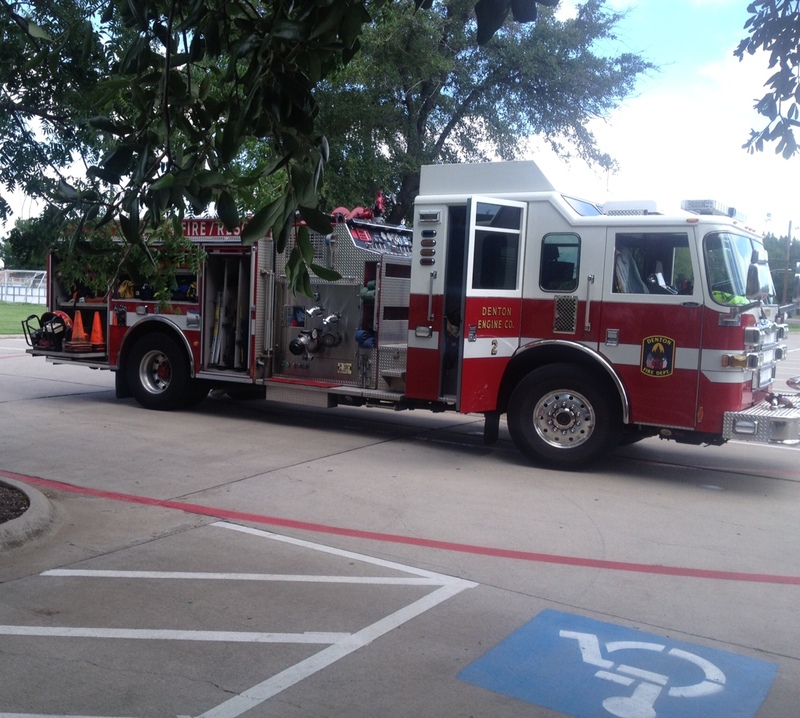 Three Firefighters from the Denton Fire Department showed up with their pumper truck. 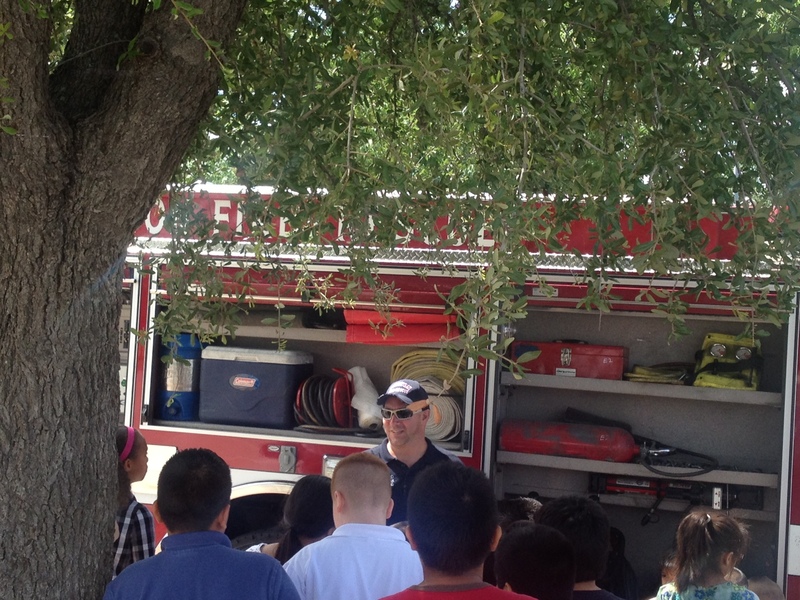 The adults and kids all gathered around the pumper truck to see and hear how this vehicle works and how it is used. I might add this had the highest participation out of the three weeks of Bible Club. I guess everybody like the Fire Department. The Firefighters showed everyone the cab of the truck and all the things that they carry up there. The children learned where everyone sat and that everyone had assigned seats. Then the Captain climbed up to the control panel of the pumper truck and explained how it worked. Captain Perry explaining the Work Station of the driver. The Firefighters took turns opening each compartment on the truck and explaining the tools in there. On board this engine they carried the jaws of life, ladders, hoses and all the tools of the trade. They also put on their Bunker gear and SCBA so the kids could see what they look like if they were coming after them in a fire. One of them crawled through the crowd of kids and told them not to be scared of him, even though to a scared child he might look like a monster. All this equipment is stored in order in the same spot on the engine so that the Firefighters all know where the equipment is supposed to be. So in a time of emergency they can go exactly to the same cargo bay each time. This saves seconds when seconds count. Kids and Firefighters photo op. 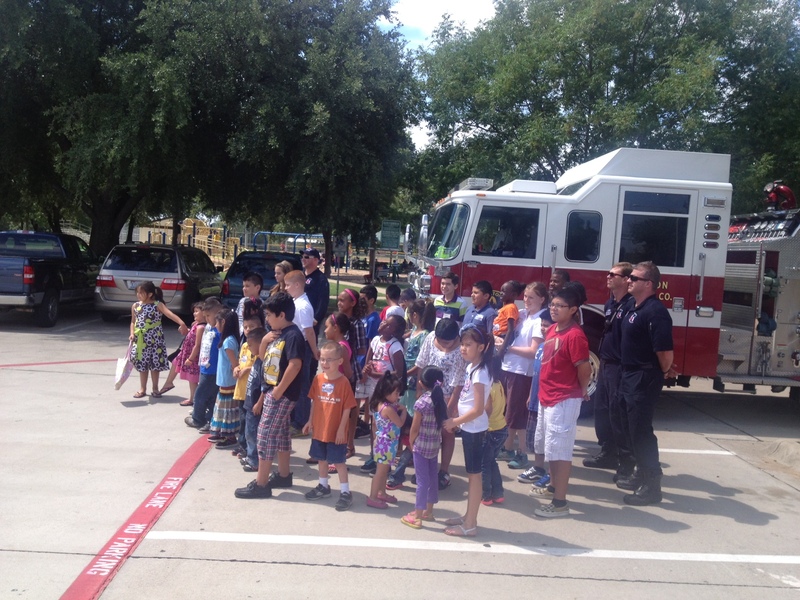 The kids all enjoyed their time with the Firefighters and they wanted their picture with them. 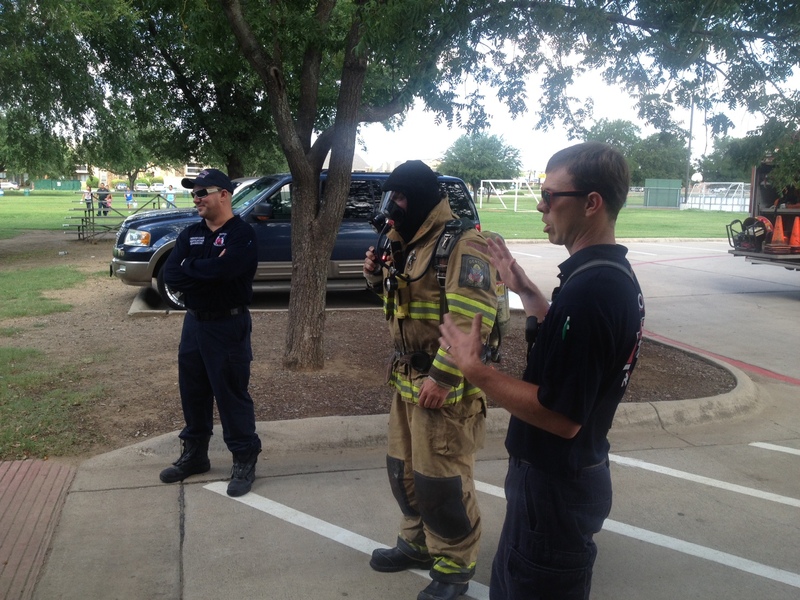 The Firefighters had a good rapport with the kids and took time to answer their questions. After this time with our special guest Bro. Fogg preached a message to the kids and 6 or 7 of these kids asked Jesus Christ to save their souls. 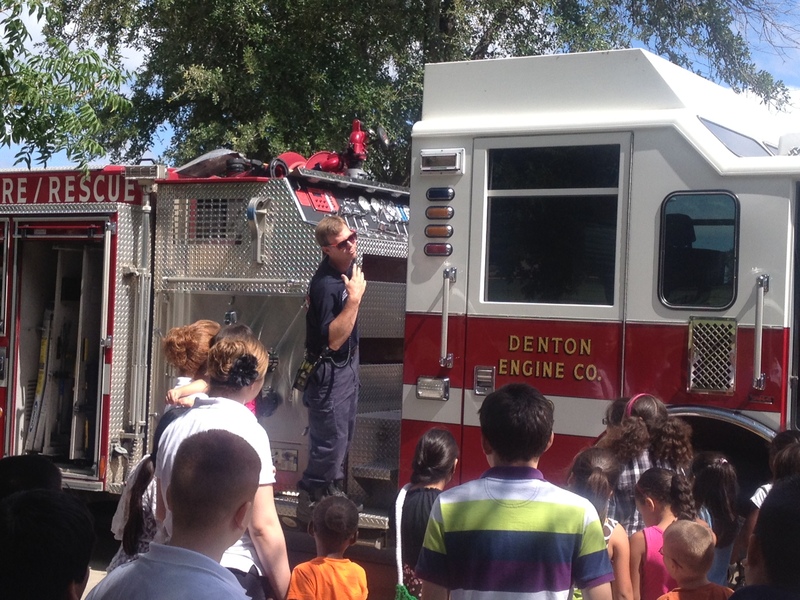 Thank you Denton Fire Department for sharing your engine and your love of your job. From the staff of Badges & Boots.